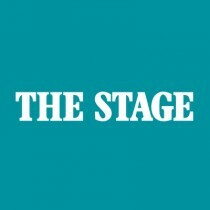 Sheffield Theatres has retained its crown as regional theatre of the year after it was awarded the title for the second time in a row at the Stage Awards 2014, in association with Robertson Taylor W&P Longreach. The organisation – which comprises the 1,000-seat Lyceum and Crucible venues and 400-seat Studio – received the prize at a ceremony this afternoon at London’s Theatre Royal, Drury Lane. It was recognised for a season of work that ranged from a stage adaptation of The Full Monty, to new musical This is My Family, to Bull, a new play by Mike Bartlett. The awards also saw the Hampstead Theatre named London theatre of the year, after seeing off competition from the Bush Theatre and the Young Vic. It was recognised for a real turn-around in its fortunes, which has seen its audience capacity increase from 70% in 2010 to 91% last year. Meanwhile, the Michael Grandage Company was recognised as producer of the year for its inaugural five-production West End season at the Noel Coward Theatre, which saw MGC combining a starry line-up including Sheridan Smith, Daniel Radcliffe and Judi Dench, with 100,000 tickets priced at £10, plus an impressive programme of outreach work. The prize for school of the year went to the National Youth Theatre. The company launched a West End rep season at the Ambassadors Theatre in 2013, providing free training to young people on top of its normal programme of courses. Meanwhile, London’s Southwark Playhouse was named fringe theatre of the year despite a period of upheaval that saw it change premises, while still retaining its reputation of providing an ambitious season of work. The annual unsung hero award, which recognises figures in the performing arts industry who operate outside the limelight, was presented posthumously to theatre consultant Andy Collier. Chair of the judging panel, The Stage deputy editor Alistair Smith, said: “It was another really tough year for the judges across all the categories and, really, any of our shortlisted organisations would have made worthy winners, such is the quality of theatre provision across the UK.